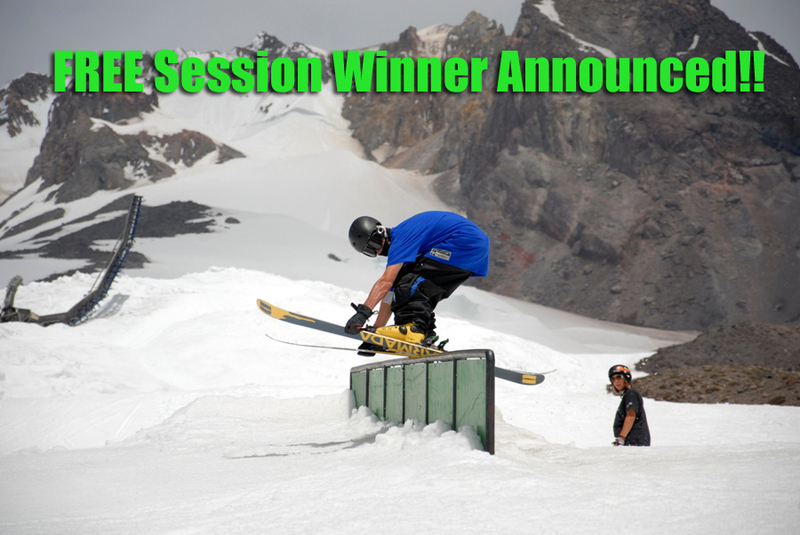 The lucky person who won the drawing for a 2016 FREE session at Mt Hood Summer Ski Camps is Drew Gray!! Congratulations Drew! Drew, you have 72 hours to claim your prize! *1,119 People entered the drawing this year. Read and understand all Official Rules and Regulations below BEFORE entering your name. 1. Eligibility: Mt Hood Summer Ski Camps, Inc. contests are open to everyone that resides under federal and local laws and regulations. Entry in the contests constitutes your full and unconditional acceptance of these rules. To participate: Follow rules outlined for each specific contest. The information you provide will only be used for the purposes of collecting entrants for the contest. Information provided by participant will not be shared, but may opt the participant into receiving promotional e-mails from Mt Hood Summer Ski Camps, Inc.. The participant can easily opt out of the e-mails at any time. 2. Contest Timeframe: Unless otherwise specified, the contests entry period will begin when the contests are initially posted on mthood.com and on the contests specified end date. The winner will be notified, by e-mail, in a timely manner, with the details. 3. Publicity of Contest: As a condition of entry, except where prohibited by law, each entrant by participating in the promotion grants Mt Hood Summer Ski Camps, Inc. all rights to publicize, broadcast, display and/or otherwise use the entrant’s information in media for publicity and advertisement purposes without additional review, compensation, permission or approval of the winner. 4. Mt Hood Summer Ski Camps, Inc. holds the right to cancel, modify or terminate the contest at any time should the contest be deemed incapable of running as planned for any reason. Under any such circumstances, contest entrants shall not be held financially or legally responsible for any deal upon modification or cancellation. 5. The contest winner cannot transfer his/her prize to anyone else, friend, family member, etc. 6. You must be age 9 or older to enter. If an adult (age 18+) wins the contest, he/she can attend any of the regular 14 summer sessions offered, or can attend the "adults-only" session (August 30-Sept 5). Kids ages 9-18 can attend any of the 14 summer sessions offered in 2015. 7. Multiple entries and/or the same person using multiple email addresses will be deleted. 8. Employees, past or present, of Mt Hood Summer Ski Camps, Inc. and their family members are not eligible. 9. Winner of the free session will be done by random drawing on April 15, 2015. 10. The Free Session prize has no cash value, is non-transferable & cannot be applied to a future Mt Hood Summer Ski Camps, Inc. session beyond summer 2015. 11. If the winner of the drawing is unable to use the free session prize, it will be awarded to a runner-up. The person who wins the drawing will be contacted via email on either April 15 or April 16, 2015 and will have 72 hours to accept their prize. If after the 72 hour time period ends and the prize is not claimed, the prize will be awarded to a runner-up.